Established in the late 1800s, the City Park Greenhouse serves as Denver Parks and Recreation's horticultural core by growing and distributing landscape bedding plants, shrubs, and other ornamental plants for Denver park districts and other city agencies. The greenhouse is also a key player in Denver's "City Beautiful" movement. 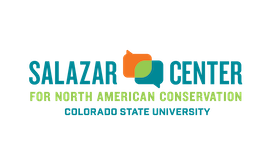 During this workshop, participants will tour the Denver greenhouse and city park gardens and learn about Denver Parks and Recreation's horticulture efforts. The tour will highlight how, through horticulture, Denver is working hard on water conservation, building habitat, and biodiversity within plantings. Participants will experience a more diverse selection of native perennials and shrubs to support efforts out in the park for pollinators. There is a trial garden at the greenhouse for new varieties as well as a large prairie-type garden. The tour will also illustrate how equity is at the forefront of DPR's horticulture practices by ensuring that all spaces and population are served with the same kind of care and beautiful spaces. While city greenhouses struggle to stay open, Denver is one of the only city greenhouses that is still serving a large public population, partly through an innovative approach that keeps maintenance costs down while prioritizing aesthetics.